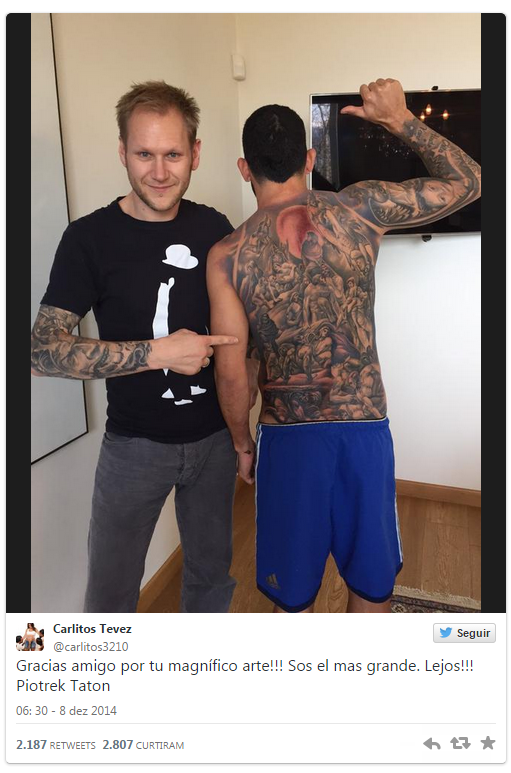 Most footballers enjoy having some artwork done, anything from a regular saying to a more decorative piece, body art has become very common in football. There are some incredible tattoos in world football, but perhaps the new work done by Carlos Tevez surpasses everybody and everything. 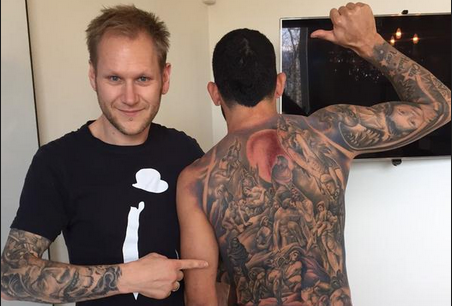 The Juventus forward did one incredible piece that covers his back and his left arm. He tweeted a pic showing the tattoo with the caption “Magnificent art”. The tattoo reminds me of the popular TV show, Prison Break, where the main character, Michael Scofield, had a similar size tattoo done with the map of the prison so he could escape. Tevez art is somewhat different in content but similar in size. This is an incredible art piece that I am sure he had the artist working on it for some time now. After all something this size doesn't get done in one visit to the tattoo shop.